The lights went out in Dorchester. The lights that were promised over many, many months by an interior designer who received payment for light fixtures but which were never delivered. 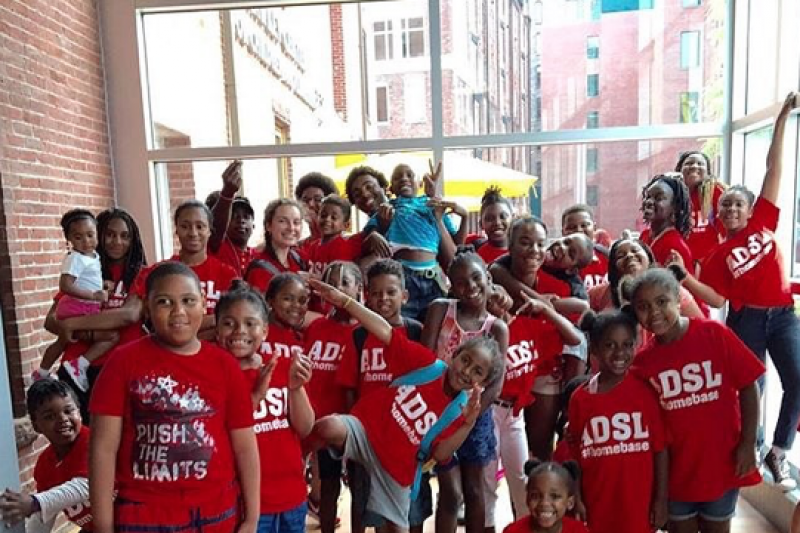 Lights that would illuminate the outside of the building that houses the All Dorchester Sports League where low-income kids go to spend quality time in after-school programs. Lights extinguished which illuminate the spirit of those who work with the kids of Dorchester. Fall is here and the afternoon darkness is upon us. decided to spring into action. Many of us have already made a pledge to donate to this cause and with your help, we have a glimmer of hope that we can provide whatever is needed to give these kids a better and safer experience. Our IDC community got together online in the last 24 hours. We were shocked, appalled, greatly concerned and motivated to contribute what we could to help the ADSL. We got in touch with them and they are very excited that we might be able to help in any way. The professionals in IDC and the design industry at-large have a passion and commitment to enhancing the well being of our clients both aesthetically and functionally. We strive to lift the spirits of our clients with beautiful products and materials yet always keeping an eye on function - and budget! We work hard, we care deeply about our clients, and we simply cannot let this unfortunate situation stand. Please stand with us and give what you can.